Cuba. A world caught in the past, bubbling over with the sounds of live musical rhythms, the smell of cigar smoke, the rumbling of colorful classic cars, children playing on the streets, local habeneros sitting on steps, leaning over their balconies to call out for someone, constant chatting about the latest goings on. Generally, Cuban-ing about as one traveler friend called it. Crumbling facades and perfect plazas are the nucleus of this effervescent cultural hotspot. My Cuban experience was long dreamt of, and now a last minute panic-bought trip prompted by the impending changes that may occur due to the re-initiation of Cuba-USA relations took me to the heart of this vibrant country, La Habana. Steam rising from the city streets after the rains, dusty and alive, with ladies fluttering fans against the humidity, hearing the tweeting of the birds in cages hung on the walls outside homes, this is still a world apart.Walking around my first day, I marveled at the once glorious colonial architecture while bits of plaster fell to the ground before me. Heading deeper into Habana Centro and Vieja, hearing good-natured badgering by the jineteros, street hustlers, shouting out “Where are you from?”, “Taxi, Lady”, “Cigars, Amigo”, the classic Cuban tsssst-ing to get attention. 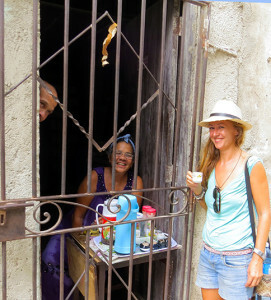 No Cuban is a stranger here and they easily strike up conversation with anyone they meet reflecting their solidarity and warmth for each other. The minimal internet service means they talk to each other and so did we. With no cell phones in sight around the table, we learned so much more about life enriched by real communication without the distraction of messaging someone a world away. Watching the stormy sea along the Malecon, I returned that evening with a small bottle of local rum and some friends to do as the locals do: enjoy some people watching, some impromptu entertainment from magicians and musicians and snacking on roasted nuts encased in thin white cones or listening out for the ringing bell of the mobile heladería cart for an ice cream treat. 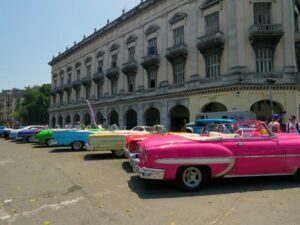 Staying at a hostel in Havana, I met some fellow travelers and we we lucky enough to hire a classic car with a wonderful Cuban driver for 5 days to travel around the country with the benefit of his local knowledge. For this, speaking Spanish is a definite benefit. 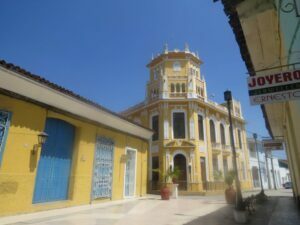 We traveled around the rolling Cuban countryside and hit the main cities, like Trinidad and Cienfuegos. But with the benefit of the knowledge of our local Cuban friend, we saw so much more and truly went off the beaten track, to isolated beaches, small villages and towns and a beautiful drive on a highway over the Caribbean to secluded Cayo Santa Maria with the most beautiful beach and clearest blue water. A quick Spanish conversation with a local hotel worker got us a onto a catamaran for a tranquil sail through the turquoise waters. 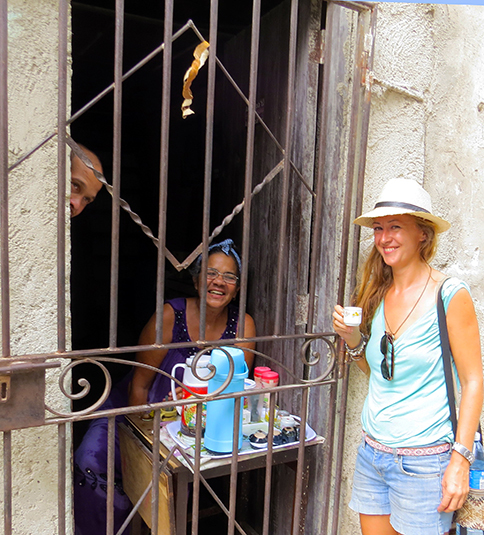 As with every country, but especially in Cuba, speaking the language will quickly elevate the quality of your experience giving you a deeper insight into the people, their culture and their country. After my time in this wonderful country, I am happy in the knowledge that Cuba will always be Cuba. 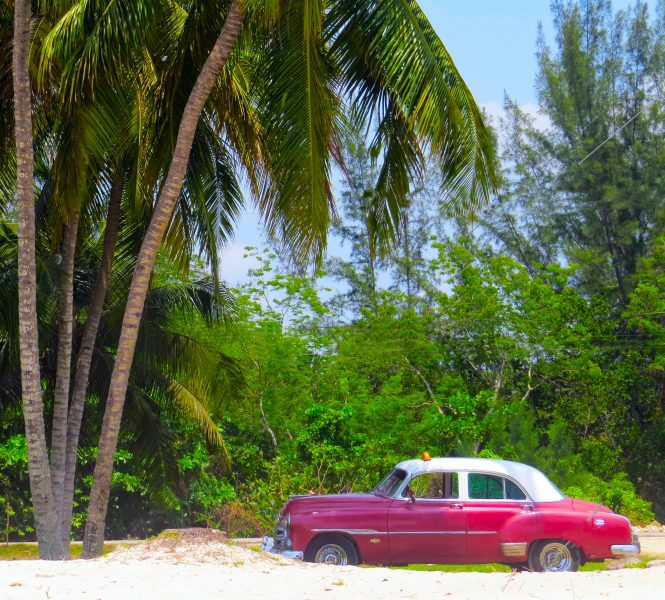 Though some buildings may be restored, beach resorts may grow, infrastructure of mobile communications may occur, the core of the Cuban essence will always remain. Two currencies are actively used; the CUC (Cuban convertible peso) and the Moneda Nacional, CUP (Cuban Peso), also called the Peso. CUCs are more colorful notes and are used for casa particular payment, bus travel, tickets, stores and general tourist things. Moneda Nacional is used in state run food restaurants and local food stalls primarily. Sure you can get by just using the CUC currency but you will miss out on the local vendors and cheap eats. Always make sure you confirm what currency the price you are quoted is in. You can pay for food and drinks at street stalls with CUC but you will be getting your change back in Pesos so make sure you check your change is correct. Right now (May 2015) 1 CUC is equal to $1USD and 26.5 pesos, so unless you are good at rapid math, it is much easier to pay in for prices listed in pesos with pesos and prices listed in CUC with CUC. It is better to tip in CUC (even if the bill is in pesos). Money exchange booths, Cadecas, are at the airport when you arrive and scattered throughout towns. There is no ATM in the arrivals hall of the international airport in Havana. If you are exchanging US dollars you will be charged 10%, so this is not the best currency to bring. Better currencies are Mexican Pesos, Euros, Sterling or Canadian dollars. ATMs are present although there are few in the major cities. They do not accept Mastercard. I had brought enough cash to exchange with me in case my card did not work in ATMs. But my VISA debit card worked in ATM cash withdrawals with no problems and many people I knew where able to use their VISA credit cards for cash withdrawals. If you are having trouble using your card, you can bring it along with your Passport ID to a bank or Cadeca, and they can swipe it for you and issue you with cash. Payment with VISA credit card is only common in the high-end hotels and restaurants, so treat it mainly as a cash economy and bring enough cash in case your card does not work. 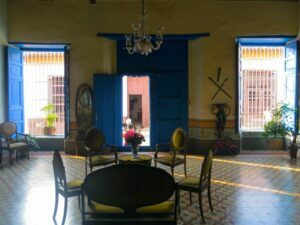 While there are hotels and two hostels based in Havana, most of the time you will be staying in a Casa Particular, privately rented rooms in local houses, similar to a homestay. This is actually one of the best forms of accommodation as you will be in the heart of a Cuban family home and they can often offer breakfast and dinner of local tasty Cuban food for an extra cost. Some of the houses are absolutely stunning examples of colonial architecture especially in Cienfuegos and Trinidad, and are an attraction in themselves. They are plentiful in every city and are easily spotted by the Arrendador Divisa sign hanging outside. There is no real need to pre-book a casa, although it is possible using websites like http://www.casaparticular.com/but bear in mind that with limited internet, it may take some time for you to hear back about your booking. In fact, without booking, it is a lot of fun hopping from casa to casa to find availability. The only downside of the casa system is that the rooms typically cater to more than one person, meaning that if you are travelling solo, you will essentially be paying for a private room by yourself. Prices typically run for 20-25 CUC per night and it is possible to negotiate, especially if you are solo or arrive late at night, when the chances of filling a room is diminishing for the owner and they are more open to dropping the price. If you are a backpacker arriving in Cuba solo, I recommend you stay at Rolando´s hostel , a true hostel where travelers gather at the small roof top bar to talk about their Cuba experiences, share tips and advice and search for other travelers to share travel and casa particular costs. There are general convenience stores dotted all through Cuba that can be randomly and often sparsely stocked and look dated. In any case, it makes for an interesting shopping trip. It can often be difficult to find bottled water as Cubans drink tap water (which is not recommended for non-Cubans) so grab it from your casa. General stores contain some canned food goods, toiletries, cigarettes, alcohol and plenty of motor repair items for keeping those classic cars running. Rum, cigars, handicrafts are definite big sellers. In Havana, there are shopping malls in the upscale Vedado district of Nueva Habana. Cuban food centers around seafood, pork and Moros y Cristianos (black beans and rice). Traditional dishes to try include Ropa Vieja, braised shredded pork or beef in a tomato based sauce served with rice and salad and pierna criolla, a pork shoulder stuffed with moros y cristianos. Shrimp, crab, fish and lobster can be found on most regional coastal menus. Fast food burger and pizza joints are everywhere but also always keep an eye out for the tasty treats locals are serving out of their window. The Cuban sandwich is a classic cheap eat though it can be difficult to find good one that is not just a slab of ham and bland cheese. There is a lack of vegetarian food options, given that typically it is cheaper for Cubans to eat meat. Fruit and vegetables are more extensive. So if you do not eat fish, your options will be limited to rice and vegetables unless you seek out a rare vegetarian restaurant where you will be paying a premium. State run restaurants still exist in towns all over Cuba though there is a move to paladars, privately run restaurants. State run restaurants offer the cheapest option and the best local food experience. Many restaurants in city centers will have 2 price lists, one in CUC for tourists and one in pesos for locals. So with your best Spanish, try and insist on ordering from the peso menu to save a whole lot of money. There are many delights to be found on the streets and from local homes like freshly cooked pastries and breads, cheese fingers, empanadas, fresh mango and other fruit juices, sandwiches. Note that in Cuba, tortilla means egg not a corn or wheat taco. So if you ask for a tortilla sandwich you will be presented with a scrambled egg sandwich. Sipping on a cafecito is a popular way to pass the time and have a chat. When you are staying in casa particulares, breakfast is often offered at a cost of around 5CUC ($5USD) but there are way cheaper options available on the streets if you are penny pinching. Dinner may also be available. It will be tasty, genuine Cuban food, prepared and beautifully presented by the family you are staying with, and it can be a convenient and inexpensive way to try a few of the local dishes. Flight to Cuba are possible from outside the USA. Many people get cheap flight deals from Canada and Cancun, Mexico. Travel from the USA is possible but only for cultural purposes and Americans will need to ask for permission beforehand. You can buy the visa from your local Cuban embassy also. I flew from Cancun Mexico, and visas are available for purchase from the Cubana air information desk at a current cost of $25USD (300 Mexican pesos, cash). You can purchase the visa on the day of your departure, but get to the airport a little early for this purpose. Also, while you are in the check-in line, airport staff will ask everyone if they have their visa yet and if not, they can sell it to you while you are in the queue. Currently, the Cuban tourist visa is for 30 days (and 90 days for Canadians). It is possible to extend this while in Cuba for a further 30 days. a Head to the local immigration office (Trinidad is an easier option than Havana) or ask your Casa owner to help you with the process. Check out this website for more information. There are a number of options for travelling round Cuba. The main bus company Viazul covers the main routes through the country but have restricted timetable options and can be expensive. One of the best ways to travel around Cuba, especially if you are in a group can be by taxi. A taxi with 4 people from, for example, Havana to Trinidad can be 50CUC, whereas it is 25CUC per person on a Viazul bus. So way up your options. Me and a group of 3 friends negotiated a deal with a wonderful local taxi driver to drive us around Cuba for 5 days in his 1951 Classic Chevrolet. This is by far the best way to travel around, in a classic Cuban car with a driver with local knowledge that makes it possible to see Cuba off the beaten track. It is important that at least one of your group can speak Spanish to enhance the experience and really communicate what you want to see, where you want to go and understand the suggestions of your local Cuban friendly driver. Independent car rental is also possible, but you will need to arrange it in advance and you will get a modern car. The daily cost of independent car rental with insurance was 70CUC (April 2015). We negotiated the same price with our driver and we had the invaluable benefit of his knowledge. 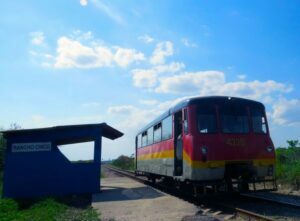 Cuba has a good rail network, so if you want to travel the real way Cubans do, hop on a train. But bear in mind these trains are slow and can occasionally breakdown. In Havana, visitors cannot buy tickets at the Estacion Central. You will have to walk around the corner to Le Coubre station. In other cities, you can buy tickets at the Estacion Central without any problems. The trains may be basic, and be sure to bring some toilet roll with you, just in case. 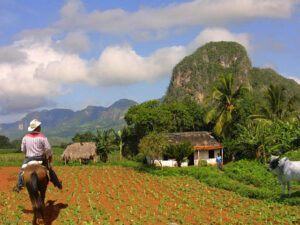 This is a great way to take in the beautiful Cuban countryside at a leisurely pace. There is a fast service from Havana right across the country to Santiago de Cuba, that also stops at Santa Clara and Camagüey. This train has air conditioning and a catering car but bring your own snacks too for the long 12hr journey. Check out this link for more train transport information. 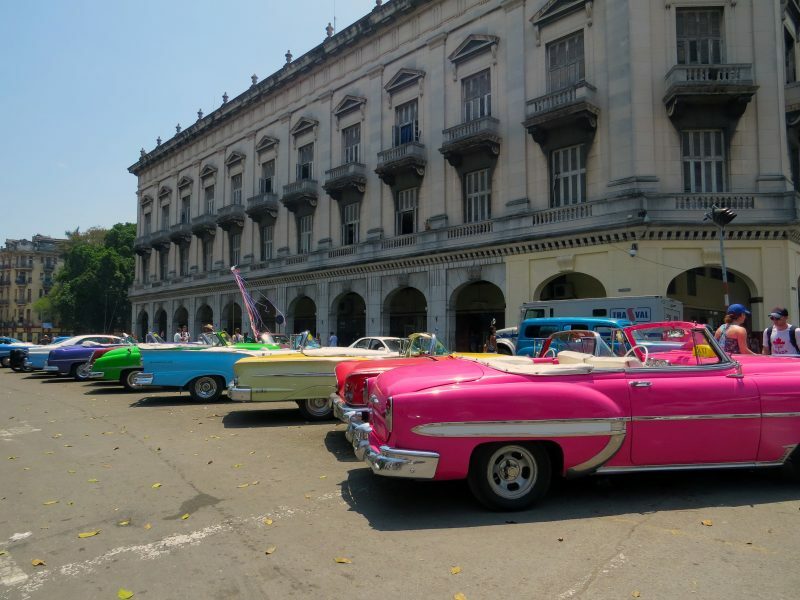 In Havana, especially, you and a group of friends can hire a beautifully restored classic car for a 1 hour city tour and that will cost approximately 30CUC. 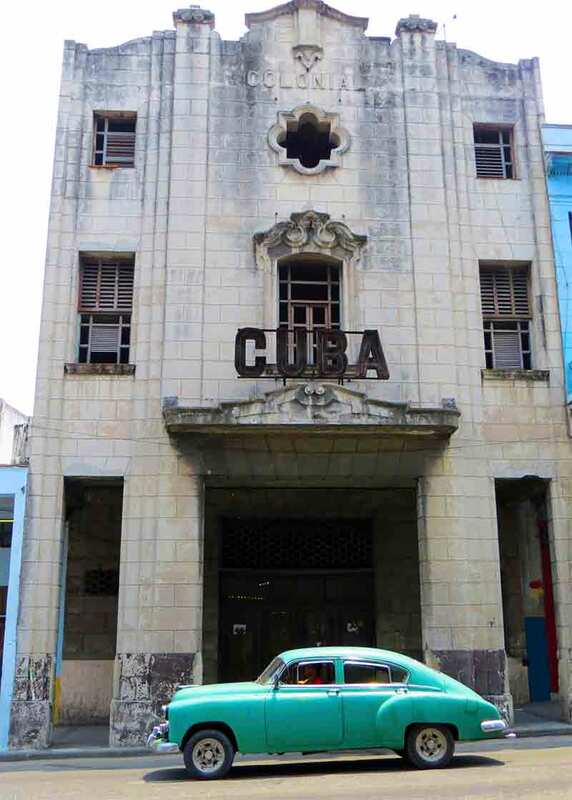 While there are some classic cars that operate as collectivo taxis, they are mainly found in Havana and are privately owned and less common in other parts of Cuba, where standard modern car imports are used. Collectivo taxis pick up other passengers going in a similar direction to you and it is always better to negotiate the price before you get in. 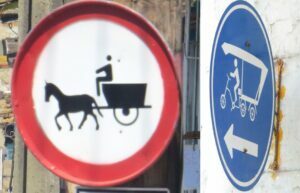 Other cheap ways of getting around are the round yellow Coco-taxis, bici-taxis and in some towns, horse and cart collectivo taxis operate aswell, or that full on rustic experience. The major cities have a wealth of nightlife options. 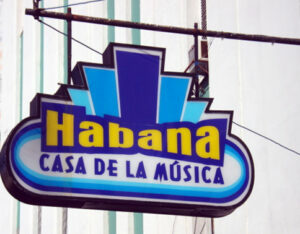 In Havana, Salsa is everywhere. Check out La Gruta in Vedado for nightly salsa rhythms, La Casa de la Musica, or La Fabricca for more western beats in a fantastic art space, and the Jazz Club La Zorra y el Cuervo accessed through the bright red English phone booth. Malecons are a good and cheap spot to pass a few hours in the evening, watching the waves crashing as you sip on some rum. Santa Clara has a good alternative music scene thanks to the student population. Find the local Casa de la Culturas in many of the main towns as they post a list of current events for that city. While your there, why not try a salsa lesson! Visit the capital city and see the differences in the Vieja, Nueva and Vedado districts. Soak up the glorious architecture and the wonderfully restored classic cars in this vibrant city at the heart of Latino American culture. The largest city in the Caribbean is alive with its warm people, perpetual live music, the smell of Cohiba cigars and rum and reminders of its revolutionary past. Stroll the malecon boardwalk and take in the impressive Castillo de la Real Fuerza on the other side of the harbour. 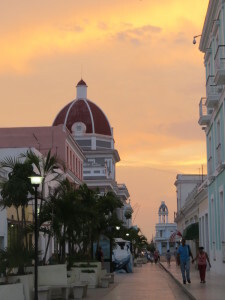 On the southern coastline, Cienfuegos is Cuba´s Perla del Sur (Pearl of the South). Curving around a beautiful natural bay with a marina, the stunning and colorful colonial architecture earned it UNESCO World heritage status and the long seaside Malecon make this a favorite with travelers. The nearby El Nicho waterfalls and Guanaroca lagoon have put this city on the traveler trail. Punta Gorda is a great place to catch the sun setting. Don´t miss the spectacular beauty of the Palacio de Valle where you can enjoy a rooftop mojito and chill out in the stunning Plaza Jose Marti. This compact, perfectly formed gem of a town in central Cuba is bustling with tourism, live music and colorful handicrafts. The brightly painted terraced houses with inner colonial glory retained are best viewed from above to see the terracotta roof tiles with the surrounding rolling hills in the backdrop. Wake up to the sound of horses’ hooves on the cobblestoned streets. 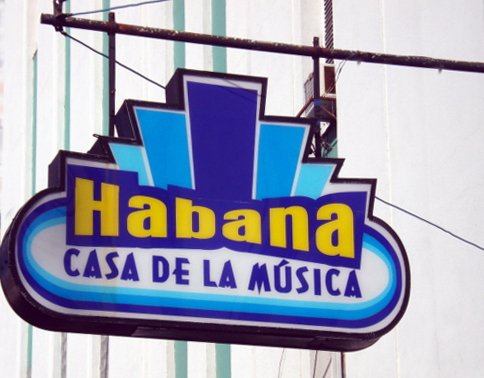 In the evening, grab a 1CUC cuba libre and sit on the steps of La Casa de la Musica to take in the live salsa band and dancing. 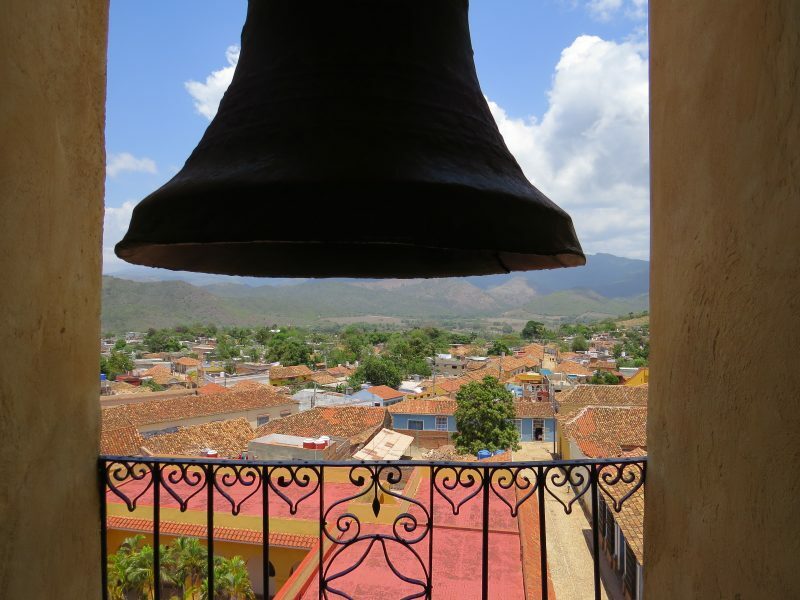 Head up the bell tower for great views and to cool down after strolling around this humid city, head out to Playa Ancon. This is one of the oldest cities in Cuba and its compact, orderly, clean streets make this a nice place to stroll around. It is a little off the beaten track meaning that is is relatively tourist free giving you a better sense of how Cubans live. 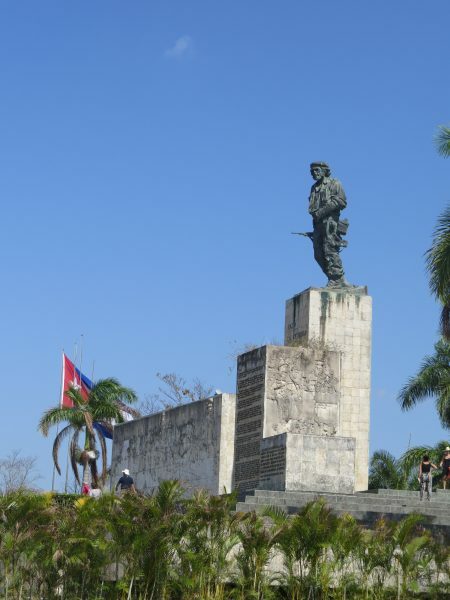 Located inland almost right in center of Cuba, this sprawl of a city with an underground music scene hosts the main monuments to Che Guevara who liberated the city in 1958. the Che Guevara Mausoleum houses his remains. Santa Clara was the site of the final battle in the Cuban Revolution, commemorated by the Tren Blindado (armoured train) monument. As a university town, food prices are cheap. The main plaza is a good spot to find some shade and watch the world go by. Head into the true Cuban countryside and cycle through the rolling green hills. With a slower pace of life, local guajiros go about their daily tobacco farming business. A beautiful natural side of Cuba in stark contrast to Havana is a great place to spend a few days, vising local tobacco factories to see the process from drying the tobacco leaves to rolling that famed Cuban cigar. Feel free to leave a comment below, or contact me if you would like any more information or advice on how best to spend your time in Cuba. Hello All, I´m Emer from Ireland. I travel at every opportunity I can and find it pretty addictive. Up to now, I have visited 50 of the world's countries and there is still so much more to see. I would like to share my experience with you to help make the most of your travel time however long it may be.